30 September 2014, at 11:07a.m. 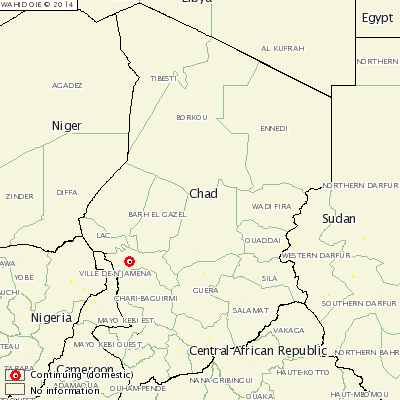 CHAD - There has been one new outbreak of African Swine Fever (ASF) detected and confirmed in western Chad. The outbreak took place is Ville de n'jamena, affected 96 swine which were located on a farm. 77 of the infected swine died with the fever.